And how to break bad ones. So as it happens, I long ago firmly had decided that I had sort of graduated and was completely done with reading self-help motivational books. 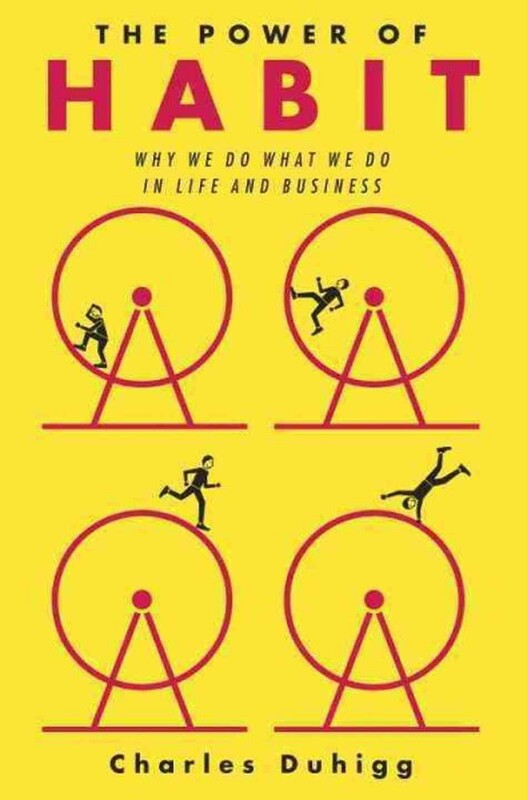 But for the last few months, every time I opened the New York Times newspaper and looked through its book review section in the non-fiction best sellers list, I came across this book over and over again: The Power of Habit: Why We Do What We Do in Life and Business by Charles Duhigg. Duhigg is a Pulitzer Prize-wining business investigator and reporter from the New York Times who has authored this book based on many interviews, many compelling stories, and many scientifically investigated facts. Finally I thought, Yes, this book seems to be calling me by my name. That was when I went ahead, bought the book, and started reading it. Now, here I am confirming to you all that this book definitely is not at all another self-help book, but is indeed a very serious book, which has its roots in a lot of investigation into the psychological — clinical psychology and neuroscience. In The Power of Habit, the author helps us understand how the pattern of our habits are formed. He helps us see that our life and who we are is very much the direct result of a collection of habits we have formed during our life time, which, in turn, do the job of determining who we are, our lifestyle, and even our life story. Duhigg goes on to show how this applies not only to people but even to companies. For instance, the author gives the example of how a company, such as Target, creates their marketing plans based on studying their customers’ shopping habits. I found The Power of Habit quite a pleasant read. At times, I even would not want to turn the pages so as not to end the pleasure of my read. The book is certainly informative and eye-opening. When you put it down, you feel determined to start a personal plan for a one-to-one war against all your bad habits. What is the real prescription here for getting rid of our bad habits? We all want to know. The author believes the best way to break a bad habit is to join a support group and try to share experiences. He believes the habits are formed because there is always a reward associated with every habit. Thus, when changing our habits, it really helps to replace the reward with something new and less harmful. I think a bad habit is like a bad virus that, once it has entered our bodies, it does not leave us alone. Even though at times it can be kept under control, dormant and hidden, nevertheless, we are under stress. We should still be in fear that those bad habits are waiting to flare up, surface again, and take over our lives. I personally believe that habits are just like causes and effects. Changing your bad habits are probably as hard as changing your bad karma! Originally published at mahvashmossaed.com on February 20, 2014.